Need a little gift ideas inspiration but don't have a lot of cash to spend? Look no further, I have gathered some of my favorite DIY gift ideas. I love them so much, I want to make all of these for myself! How to print pictures on wood waxed paper transfer from The Art of Doing Stuff. How cool is this DIY? Blogger Karen, from The Art of Doing Stuff, explains step by step how to complete this beauty. 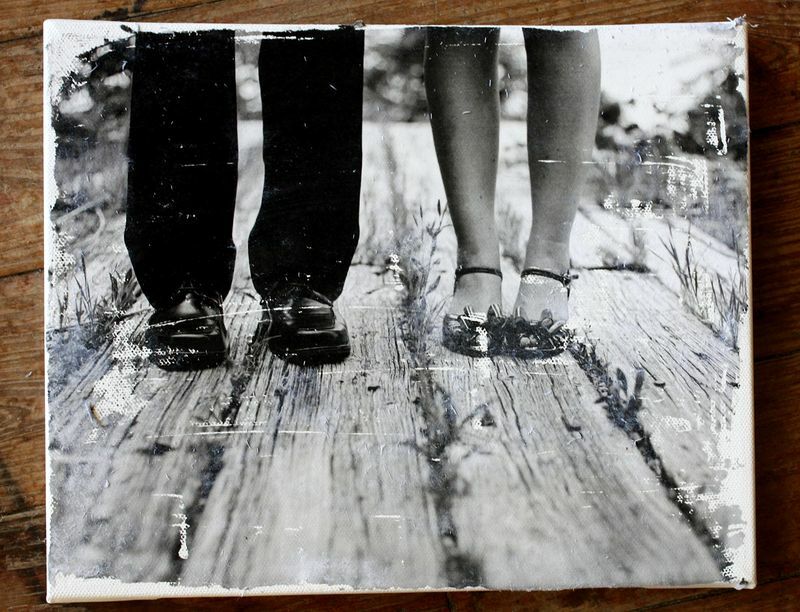 She makes the process of printing pictures on wood waxed paper look effortless. This would make an amazing gift for anyone who loves cooking or is looking to decorate their kitchen. The wax paper transfer gives the wood a nice touch of subtle color, providing beautiful decor to any kitchen. This gift is not only good for the holidays but would also make a great housewarming or hostess gift! Map Artwork by Martha Stewart. This next gift DIY comes from MarthaStewart.com and it is not only cute but also provides a nice touch to any wall. I love that you can customize this map artwork to whoever the gift is intended for. You could also sew a heart around the city of where two people met, outline the state or city of where someone was born, etc. The possibilities are endless and result is so pretty! This would make a lovely Christmas gift for anyone in your life. I think I will be using this DIY for an anniversary present for my husband. Make your own Canvas Portrait by A Beautiful Mess. This next DIY comes from Blogger Elsie from A Beautiful Mess. Making your own canvas portrait has never looked so easy and effortless. This is such a creative way to personalize someones home capturing a special moment in that persons life. You can customize these depending on the recipient and occasion like all of the gifts so far. I cannot wait to make some of my own! Photo Coaster DIY from Du Buh Du Designs. Keeping with the photograph theme, I think these DIY photo coasters are so cute! This DIY is from Du Buh Du Designs. My sister in law actually made a set for my husband and I for our wedding and I absolutely love them. We use them every day and they are nice enough to have sitting out on the coffee table. It is a lovely way to personalize your home. This would make a great gift by itself or you could even add a bottle of wine to go along with it. And again, these can be personalized depending on the recipient. Love! This next pin comes from Blogger Lynette from Cleverly Simple and would be perfect for any foodie or cook lover. I love how simple this DIY is but would make a great, useful gift. You can customize the colors depending on the decor and occasion. Put them in a pretty jar and you have a whole set. Lynette mentions that she purchased her wood utensils from Walmart for about $4.95. Add abut $4 in paints and this project comes in for under $10! So lovely! I hope that you guys enjoyed this post and that it helps provide you with some inspiration for finishing off that Christmas gift list.